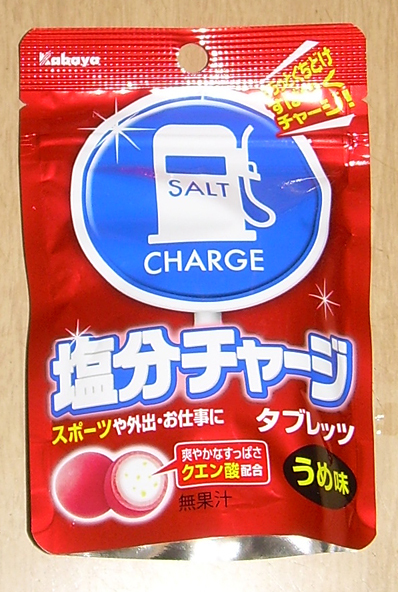 I have been using "salt candy" all summer due to the heat and the fact that even with the electricity problems and heat/humidity I exercise quite a lot. When you sweat a lot you not only need to drink a lot of water but you need to replace the salt you have lost through the sweating. 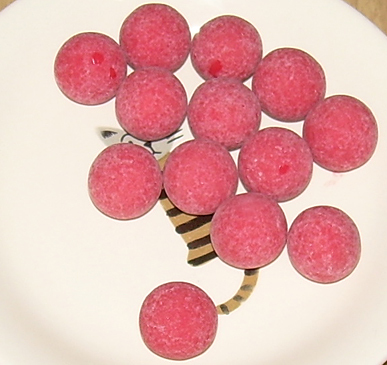 You　can do this with sport's drinks of these sorts of "candy." These "snacks" started out on the market as a sort of aid for people who sweat a lot due to manual labor or exericise and sports. They used to be somewhat difficult to find. Due to the things going on this summer the market seems to have expanded and you can find all sorts of "salt candy" every where.